Disclosure: I received a sample of Evologie to try. All opinions are my own. Stress and hormonal changes can wreak havoc on your skin, and your emotions. The Evologie® system is uniquely designed to evolve with skin’s changing needs to visibly clear existing blemishes and prevent new ones—quickly and effectively—without drying benzoyl peroxide or other irritating ingredients. Skin is hydrated, looks clear and feels healthy. EVOLOGIE® was founded on a father’s love for his daughter and perfected by experts, this technologically-advanced skin care system blends innovation and compassion with an unwavering commitment to visibly improve and maintain the healthy look of your skin—beyond compare. Powered by revolutionary patent-pending YS3 Complex® delivery system, EVOLOGIE® helps restore visible clarity, lock in needed hydration and recharge skin’s natural healing process to help you take control of your complexion and change your skin’s future. As your skin changes, so should your skincare. EVOLOGIE® understands this and the emotional impact on your overall wellbeing. This breakthrough skin care is uniquely designed to evolve with your skin’s changing needs from adolescence to adulthood—regardless of ethnicity or sensitivity. 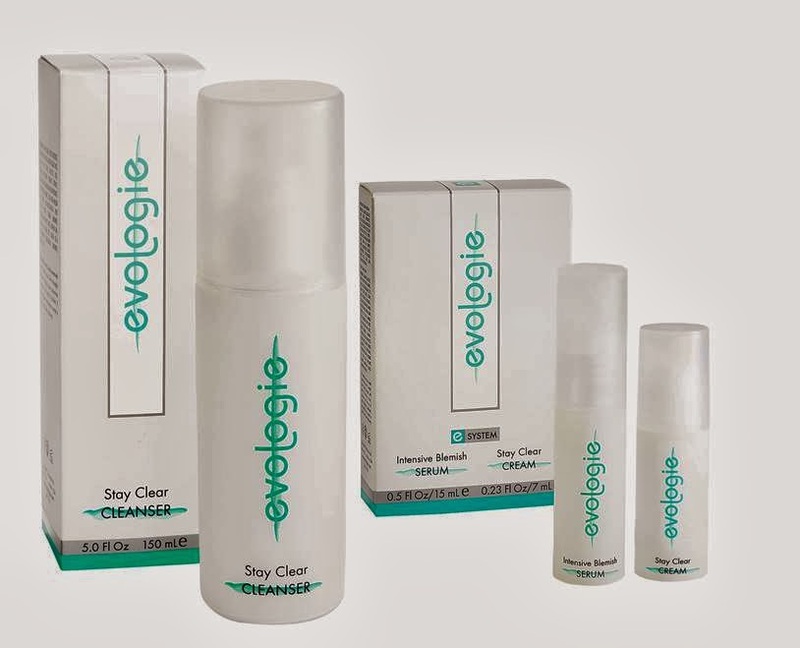 I'm giving one lucky reader a chance to win an EVOLOGIE® Clear Skin Kit. I have been having some outbreaks lately and have been thinking that I need to try something new.